Is Pinterest Marketing for Small Businesses Worth it? Want to give your small business a big boost? Then you need to be on Pinterest, where brands big and small are learning that a little exposure can go a very long way. Here’s the thing: Pinterest reaches 175+ million people each month. And they’re not just looking for inspiration—they’re looking to take action. According to the research, 93% of people on Pinterest say they use it to help plan purchases, while 87% have bought something specifically because they saw it on the platform. So who exactly is this massive audience of would-be clients and customers? Using Pinterest to market your small business can dramatically increase your exposure and audience engagement, and it’s a beautiful way to get your brand’s personality out there. Even if it’s just you manning the social feeds, you can still pull off an amazing Pinterest marketing win on your own, with just a bit of effort and our marketing insights. We’ll give you the scoop on how to make yourself Pin-worthy, from getting your business up on Pinterest to running your first marketing campaign. But first, let’s go over the basics. How exactly does Pinterest work—and what makes it such an ideal platform for small businesses? Think of Pinterest as the digital evolution of an inspiration board. People use it to Pin (save) the things they love onto themed Boards. For example, they may save home decorating inspiration, ideas for healthy dinners, or travel destinations they want to explore. Pins. Pins are beautiful, visual ways to save things you want to try (like a new recipe), do (like a DIY project), explore (like a new travel destination), or simply be inspired by (like garden designs or funny quotes). Pins can be images or videos from around the web or within Pinterest itself. Each Pin consists of a main image (or video), description text, and a link back to the source. Boards. Boards help you organize all of your Pins by theme. You can build a Board around any idea or topic. For example—fall style, books to read, classic cars, iconic fashion photography, wedding ideas—anything that you like! How do people find you on Pinterest? By browsing their home feed for ideas. That’s where they’ll see new Pins from people or brands whose Boards they follow. By checking out other people’s Boards. 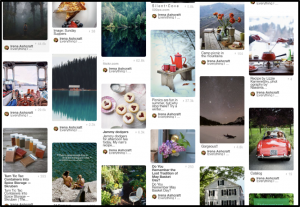 Once people find you on Pinterest, they can follow all or some of your Boards, so any time you add new Pins, they will show up in their home feed. All of the above are organic ways people discover your content, but you can also reach more eyeballs via a (paid) Promoted Pin campaign—we’ll get to that part in just a bit. 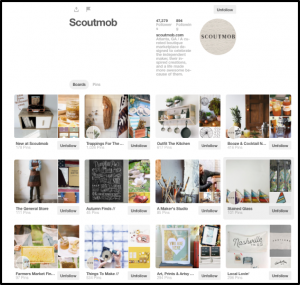 What makes Pinterest ideal for small businesses? Everlasting content. The amazing thing about Pinterest is that the content you put out there (in the form of Pins) lasts forever. People can save and share your Pins in perpetuity, so they keep reaching people long after you’ve run a marketing campaign. 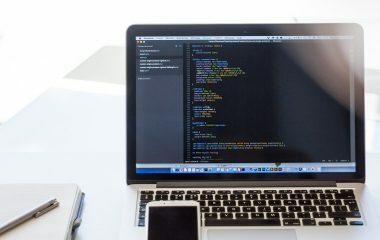 This is very different from platforms like Twitter or Facebook, where new content is buried under a stream of ever-newer content. In contrast, Pinterest’s advertisers get an average of 20% more clicks in the month following a paid ad campaign—that’s 20% more eyeballs on your content, all for free. Great ideas—no matter how small—get great exposure. On Pinterest, better content equals more exposure. You don’t have to have a million followers to be seen. You just need to put out great content (Pins) that people will want to share and save. The more that people save your stuff, the more your brand’s reach expands. OK, let’s dive in and get you set up on Pinterest! First, you’ll need to create a business account and populate it with Pins and Boards that reflect your brand. Let’s get started. First, sign up for a Pinterest business account, a simple step that takes a few seconds. 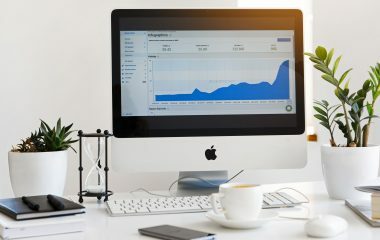 A business account gives you access to performance tracking tools, like Pinterest Analytics, and lets you run ads (Promoted Pins) on the platform. If you already have a personal account on Pinterest, you can easily convert it to a business account. 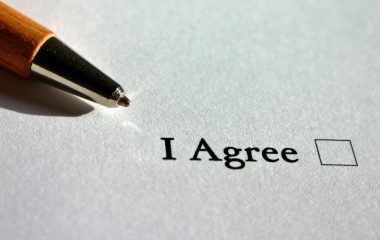 Next, fill in your business profile. Tell people what do you do, why do you do it, and what inspires you. You should also post a profile picture for better visibility. Pinterest recommends using a business logo that measures 165 x 165 pixels. 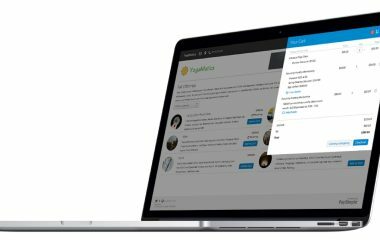 Scoutmob’s business profile. Notice that they have a clear description, a logo, and several boards that speak beautifully to their business. An event planner might set up Boards around party ideas, beautiful event venues, delicious appetizers, black tie style, exotic cocktails, holiday entertaining ideas, and so on. A dog walker might set up Boards about dog training tips, pet accessories, beautiful pet photography, and funny dog quotes. A hairstylist might curate Boards around men’s modern style, prom updo ideas, relaxed summer hairstyles, and so on. A landscaping service may curate Boards around modern landscaping trends, colorful perennials, moon gardens, backyard ponds, and lawn care tips. Your Boards don’t have to be strictly related to your business, either—think of them as a way to capture the mood and personality of your brand, and to inspire the lifestyle around it. For example, Center Parcs UK and Center Parcs Europe have several Boards that highlight their family-friendly holiday villages. But they also curate Boards around broader topics, like Welcome Home, Nature!, All we need is H20, and Natural Kids. A Board curated by Center Parcs. Notice that it highlights a particular mood, not a specific product or service. 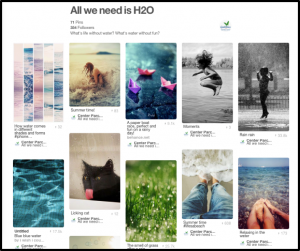 Boards like these can fill out your brand’s personality on Pinterest. Give each Board a clear name and add a description of what it’s about. Finally, choose your best Pin as the “cover image” for that Board. This image will be the first thing people see when they look at all of your Boards, so it should be compelling and inspiring. Save from Pinterest. Pinterest is full of beautiful content already, so start by searching for relevant Pins that are already on the platform. Add them to your Board by clicking the “Save” button displayed on the top corner of the Pin. You can then add or edit the existing description, and save it to the Board of your choice. When you find a Pin you like on Pinterest, save it by clicking the red “Save” button in the upper right-hand corner. You can save the same Pin to multiple Boards. Save from the web. You can also save things you discover around the web. 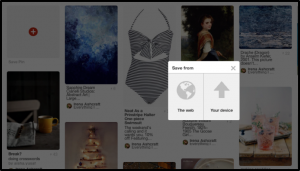 Pinterest’s handy browser button helps you easily save the things you find online. Save from your computer. 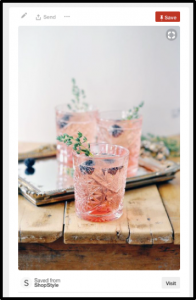 If you want to use your own images on Pinterest, upload them to a specific Board by clicking the “+” button in the top left-hand corner of the Board. A pop-up will ask if you if you’d like to save an image from the web or from your device. If you’re saving your own things, be sure that each Pin links back to your website. Upload your own things to Pinterest by clicking the “+” button on the relevant Board. Once you’ve populated your Boards with a few starter Pins, be sure to add more Pins on a regular basis. Try to Pin a little each day, so people see you in their home feeds regularly. Also consider the timing of your Pins: in the U.S., you’ll get more exposure during peak times (evenings and weekends). Finally, if you ever need to edit or delete a Pin, just click on the pencil button in the corner of the Pin. From there, you can refresh the description, move the Pin to a new Board, or get rid of it altogether. Make it easy for people to save things right from your website with the Save button and Pinterest widgets. Here’s how to set them up. Get the Save button. Adding Pinterest’s Save Button to your website encourages people to save the content they find there. That means they’re spreading your stuff on Pinterest, where it can reach more people and be re-saved to more Boards—all while linking right back to your webpage. Confirm your website. Once you confirm your website, Pinterest will add your profile image to any Pins people save directly from your site. You’ll also be able to track what people are saving with Pinterest Analytics. Bonus: use a widget. You can show off your Pins right on your website with the Widget builder. For example, you can install the Pin widget (which embeds one of your Pins on the site), Profile widget (which showcases you latest Pins), or the Board widget (which spotlights the latest Pins from a specific Board). An example of a Board Widget. Image credit: Pinterest. Bonus: Track conversions with the Pinterest Tag. 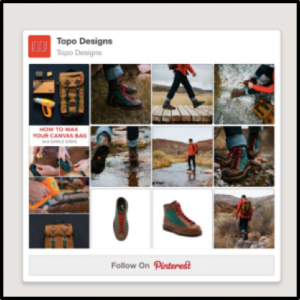 The Pinterest Tag tells you how people are engaging with your site content. You can use that info later to build better content that your audience loves. If you are creating your own Pins, follow these tips to make sure they’re optimized for success. Your Pins need to be both beautiful (so people will engage with them) and functional (so they do what you need them to do—like drive people to your website!). Use taller vertical aspect ratios. The best aspect ratio for Pinterest is 2:3 (600px wide x 900 px high). Get your images into a Pinterest-ready format with free design tools like Canva and PicMonkey. Add copy where you can. If you can add a bit of text overlay to your image, you can give your Pins context and inspire people to click. Use beautiful lifestyle images wherever possible. These tend to do better than simple product shots. Let’s say you offer high school tutoring. You’d want to create Pins that capture a more dynamic scene, like a tutor and student huddled at a table, going over a book, rather than a more static shot of a stack of test prep books. Or say you design wedding cakes. You could create a Pin for each of your cake designs, but you should also try featuring those cakes as part of a larger lifestyle celebration—images that capture the bride and groom taking their first bite, for example, or your cake laid out as part of a beautiful wedding spread. Include useful descriptions. When people click on your Pins, they see a larger image plus a description. Make sure the description represents your product or service well, with detailed information and a call to action like “Sign up” or “Buy.” Descriptions are important because when people search for keywords (like test prep or wedding cakes), they’re more likely to find your Pin if those keywords are in its description. An example of a well-designed Pin. Notice the vertical aspect ratio, mix of images and text to give context, and a detailed Pin description. Another example of a well-designed Pin. Notice the multiple product shots, beautiful photography, and simple text overlay to give context. For more on creating top-notch Pins, check out Pinterest’s How to make great Pins guide! You can run a Promoted Pin campaign to get your content in front of more people. Unlike ad campaigns on other platforms, people on Pinterest actually welcome promoted content. In fact, 75% of all the Pins on the site come from businesses! That is significant: Promoted Pins don’t get in the way of the Pinterest experience or distract people. Instead, they slip seamlessly into their feed based on highly specific audience targeting. What’s your goal for the campaign? Do you want people to re-save your Pin, which increases your brand exposure? Do you want them to click through to your website? Do you want them to buy a product or sign up for a service? If you want to increase brand exposure, run an engagement campaign. This lets you see how people interact with your content and gives you the stats on how many closeups, saves, and clicks your Pin gets. For this type of campaign, you only pay when someone checks out a close up of your Pin, saves it, or clicks it. With this campaign, the better your content, the more likely it is that people will save it to their Boards, putting your Pin in front of even more people. 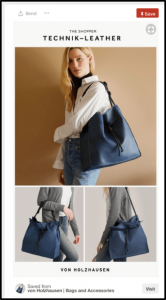 If you want to boost site traffic or inspire a purchase, run a traffic campaign. Choose this campaign when you want to send people to your website, blog, or online store. A traffic campaign lets you track what people do on your site after they leave Pinterest, with the help of conversion tags, and you only pay when someone clicks through to your site. 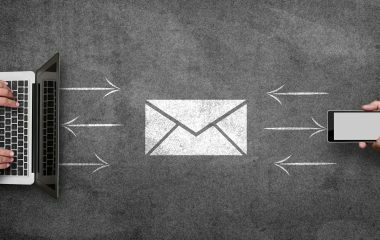 When you run a campaign, you’ll need to choose your goal: boost engagement or get traffic. Image credit: Pinterest. A Promoted Pin campaign gets your content in front of more people with the goal of either boosting engagement or clickthroughs. Here’s how to set it up. Open up the Pinterest Ads Manager. To access the Ads Manager, go to your business profile or ads.pinterest.com. 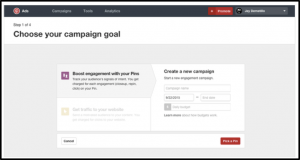 Click on the “Promote” button to set up your first campaign. Then, select your goal (engagement or traffic), and then enter your campaign details: the campaign name, dates you want the campaign to run, and your daily budget (the most you’d want to spend in one day). 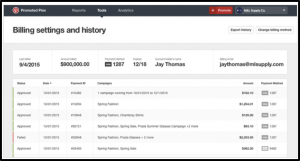 This is where you’ll enter your campaign details, like name, run dates, and daily budget. Image credit: Pinterest. Decide who you want to target. You can target people by interest, engagement (those who’ve interacted with your stuff before), keyword (terms people are searching for), demographics, and actalike targeting (those who behave in ways similar to your best customers). Choosing your target audience in the Pinterest Ad Manager. Image credit: Pinterest. Tell Pinterest how much you’ll pay for results. You pay each time someone engages with your content or clicks through to your site. Because you’re bidding against other advertisers using the same keywords and interests, a higher bid can get you more exposure. Set your maximum bid amount. Image credit: Pinterest. 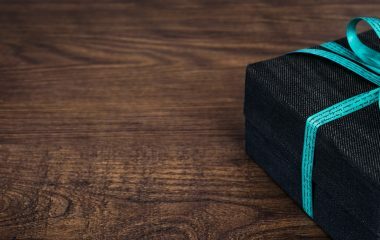 Once you promote a Pin, the Pinterest team will check to make sure it’s in line with their ad policies, and will approve your campaign within 24 hours. You’ll also be asked to set up billing the first time you run a Promoted Pin campaign. You’ll need to have a credit card on file, which you can add by visiting “Billing” under the “Tools” menu. 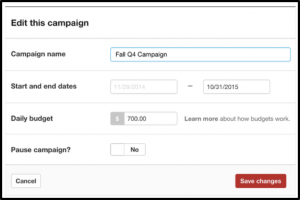 To run your first campaign, you’ll need to set up your billing details. Image credit: Pinterest. What’s working? What isn’t? Pinterest will track three things for you: clicks (when someone leaves Pinterest to go to your site), repins and closeups, and views (when someone views your Pin in their feed). 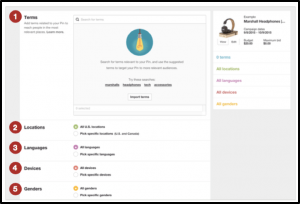 Pinterest Ads Manager will show you how your Promoted Pins are performing, so you can make tweaks to your campaign based on what your audience loves most. TIP: For more insights on running a campaign, check out Pinterest’s Guide to the Pinterest Ads Manager. We’ve taken you from the very first baby steps on Pinterest (setting up your account) to your very first marketing campaign using Promoted Pins. Now that you know how the process works, you have a valuable framework for future campaigns. Take the lessons from your first campaign, keep what worked, change what didn’t, and repeat the process. You can always find fresh new ways to get more fresh eyes on your business—and Pinterest is one of the best platforms for doing just that. Good luck, and happy Pinning!